Orthodontics or braces are used to correct and align crowded, crooked or misaligned teeth. The goal is to establish a great looking smile with the teeth correctly aligned and the upper and lower teeth fitting together properly, as they were intended and designed. 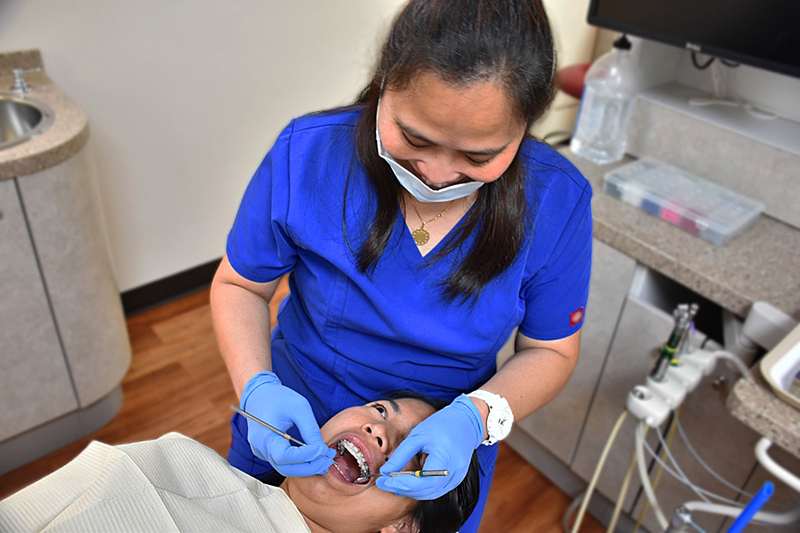 We are fortunate to have an experienced orthodontist here on Saipan as part of our team here at the SDA Dental Clinic. Dr. Creed has over 20 years of experience as an orthodontist. He has taken advanced specialty training in Orthodontics and Dental Facial Orthopedics. Give us a call if you would like to learn more, would like a free orthodontic consultation with Dr. Creed or if you feel that you are a candidate for braces.